Hot on their trail is Jack's partner Cam Macarro, who just wants her best friend back. Unable to keep up with Anya, who can shift time, Cam dives head first into ICDM history, hoping to unravel the mystery before they do. But the more she discovers, the more she begins to see the truth behind ICDM and who's really in charge. 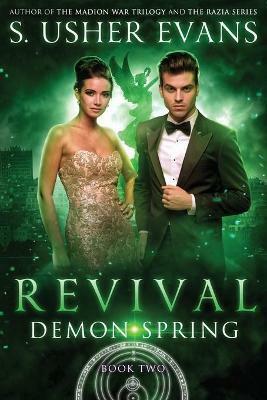 Revival is the second book in the Demon Spring Trilogy, which readers say is "perfect blend between urban fantasy and real life struggles" and "electric from start to finish."